The cosmos shuts her eyes. in a plot beside the shed. a crown on the monarch’s head. “Thyme” originally appeared in the Short North Gazette and in Columbus State’s Spring Street. Beverly Zeimer, whose poems celebrate the rural lifestyle, was born the child of tenant farmers. Her chapbook Pick a Way, that details the lives of farm families, won 1st Prize in the Salon Chapbook competition published by Pudding House. Beverly won the OPA’s Ides of March Competition judged by Terry Hermsen 2009 and was selected as Poet of the Month by the OPA in 2010. She won in the Ohio Poetry Day Contests in 2008-2009. She won the ECO Poetry Contest at the Solar Stage at Comfest, a community festival in Columbus, Ohio. 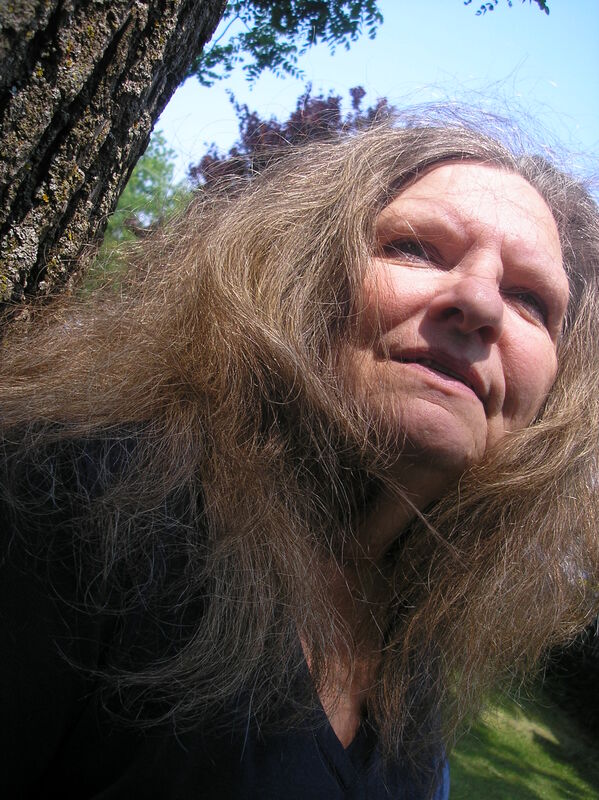 Her poems have been anthologized in Cap City Poets, Eckphrastic Elastic, Friends, The Pudding House Gang, Love Poems and Other Stories for Bruce Springsteen, Everything Stops and Listens, Open Earth: ECO poems, and many others. Her poetry and fiction have been published by Spring Street, Pudding Magazine, A Community of Voices published by the College of Wooster, Green’s Magazine in Canada, and is forthcoming in Every River on Earth: Writing from Appalachian Ohio by Ohio University Press. She shares her work at coffee houses, festivals, and book stores in regional Ohio. Retired from civil service, she still lives in rural Ohio and is currently working on her second book of poems and short stories. As I neared the fountain’s edge? To find an empty well.